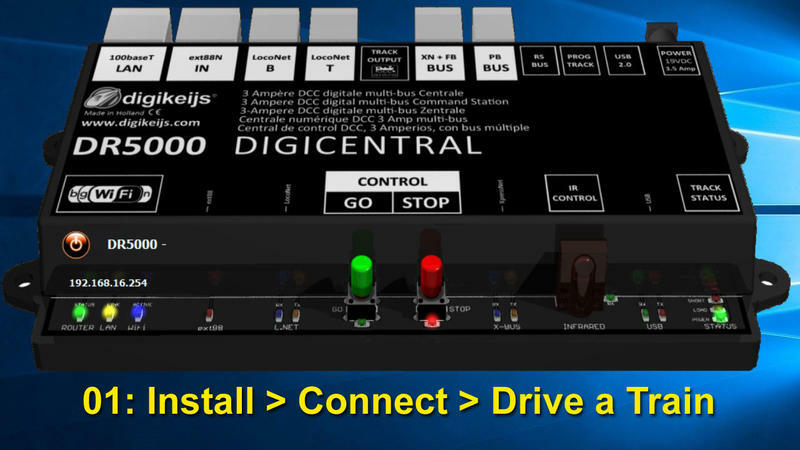 The Digikeijs DR5000 is one of the most versatile DCC command Stations currently on the market. With its wealth of connection options and multitude of data communication protocols on board, and also given it’s very fair price point, it quickly became popular in the model railroad community. Despite its popularity there are not that much videos available on Youtube yet. It seemed like a nice idea to do a couple of videos on the DR5000. This first video is about the software installation, connect and drive the first train. Common knowledge to all that already own one, it’s aimed at all who are not yet very familiar with the DR5000, or who maybe consider getting one. Last edited by RudyB on Fri Apr 06, 2018 6:28 pm, edited 1 time in total. Thank you Rudy, most enlightening I am looking forward to further videos of this most interesting controller. Thanks Richard. More to follow soon. This video is about the DR5000 Control Properties / Settings window and about the settings in the Drive- and Switch windows. One of the important settings is the number of speed steps we want the DR5000 to send to our loco’s. In most cases 28 steps is a good default value, which also works fine with most layout control software like e.g. Koploper, iTrain or Traincontroller. Unless maybe the majority of your loco’s is equipped with 14 step decoders, then of course 14 steps would be the obvious default. Once the default is set, then in the ‘Loco Speed Steps Table’ we only need to fill in the loco’s that differ from the default. Personally I always stay away from 128 speed steps … to my eyes it does not render a visibly better driving behavior, while it drastically increases (and maybe could clog?) data traffic on the communication lines and DCC. Video 04 on the Digikeijs DR5000 is out. 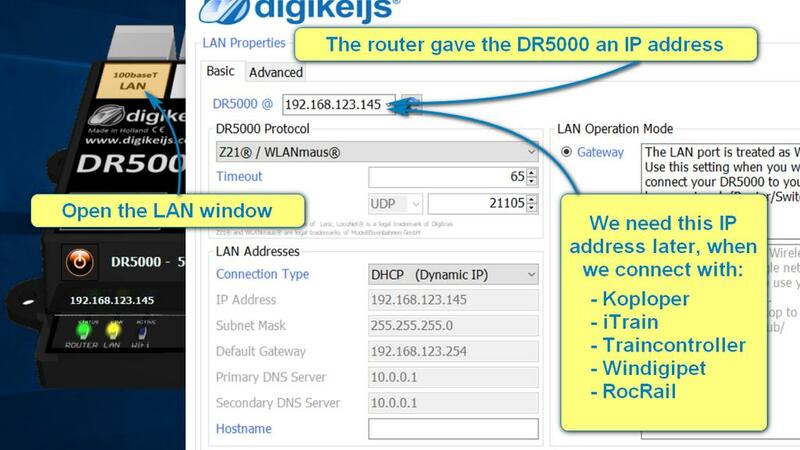 It’s about how to connect to your home network via a router. The reason to do this is if your DR5000 is further than 5m away from your PC, the maximum length for a USB cable. Oops … for some reason Digikeijs DR5000 video 3 never got posted here … Altzheimer? Here it is yet. 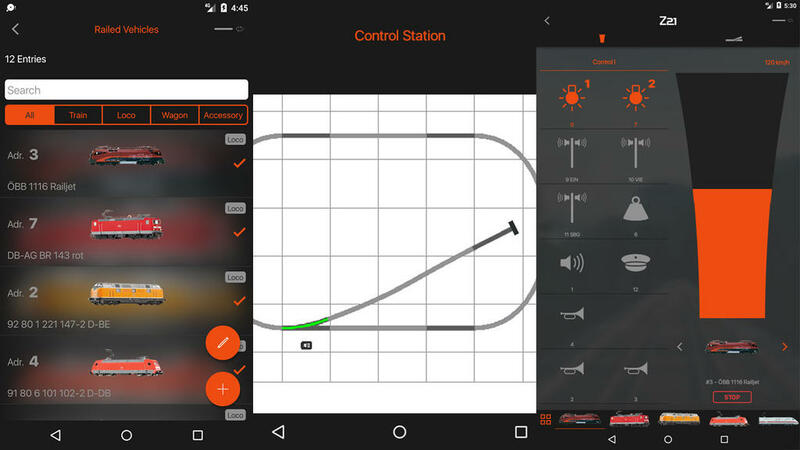 It’s about how to connect to WiFi and use the Z21 app on your phone or tablet.